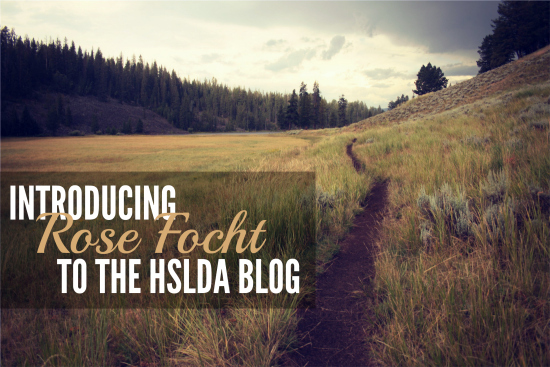 You are here: Home » Our Homeschooling Journey | Introducing Rose Focht to the Blog! Our Homeschooling Journey | Introducing Rose Focht to the Blog! My oldest child learned how to read in a way that you wouldn’t quite expect, but it worked for her due to the flexibility that homeschooling allows. My husband took the lead on teaching her, pointing out the letters to her on our bathroom wallpaper while she was potty-training. She knew her alphabet before she was two, and I breezily built on that knowledge by reciting to her things like “A says aa, B says buh…” at every opportunity. I had a set of McGuffey’s readers on our shelf, so I pulled out the primer one day and started pointing out simple words, helping her sound them out. She took off from there to become the voracious reader she is today, and can usually be found curled up with a book. Each child’s learning journey has taken a different path as we learn to work with distinctive interests and skill sets, but we try to cultivate a love of learning as we work with their natural curiosity at every turn. As a homeschool graduate who is now teaching my own children at home, I feel as if I’ve come full circle in many ways. My experience growing up in the homeschool movement gave me a clear perspective on many of the advantages and disadvantages of homeschooling. While my husband was not a homeschool graduate, he and his siblings were taught at home for a brief time when their family lived in an unfriendly school district, so he had some familiarity with the concept and a generally positive opinion of homeschooling. When we discussed plans for our future family, it just made sense to consider teaching our children ourselves as our default option. 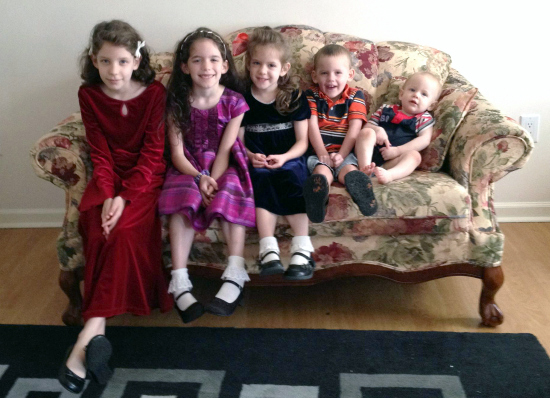 Our five children (three girls and two boys) currently range in age from nine to one. We have a pretty laid-back approach to teaching, and that has worked well for our family dynamics, which have involved a baby or a toddler underfoot the majority of the time. Children may thrive on routine, but flexibility has been the key to making our schooling work. We pretty much have to seize the day, or the teachable moment, when we can. When I was young, homeschooling was of course less common than it is today, and was often looked at askance. Skeptics would ask my mom variations on the question, “Are you always going to homeschool?” Although she was pretty committed to teaching us at home, she would honestly answer, “We just take it one year at a time.” And I feel the exact same way. While I don’t see any reason to deviate from a path that’s serving our family remarkably well, we do indeed plan to take things one year at a time. In fact, some days, I might tell you that we take it one day at a time. Photo Credit: First photo via Unplash, graphic design by Charity Klicka; second photo from Rose Focht. ← Help! My Teen Refuses to Do Her School Work!